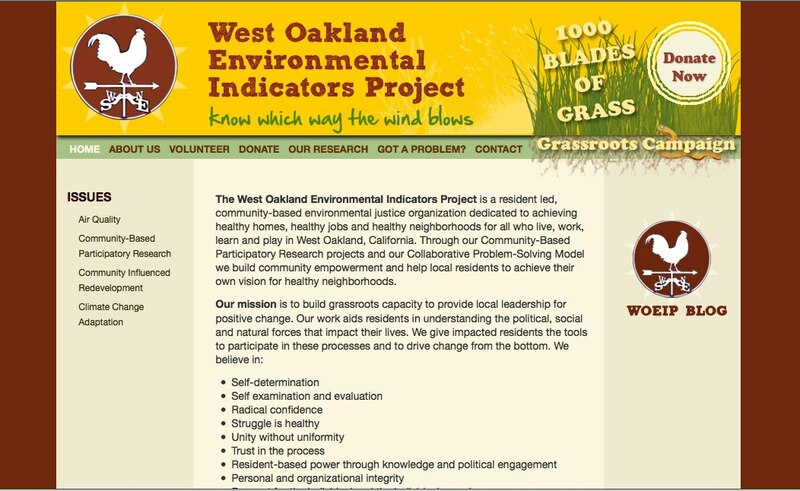 In a letter to federal and Utah officials, Ms. Margaret Gordon and Brian Beveridge, co-directors of the West Oakland Environmental Indicators Project (WOEIP), have identified potential violations of federal civil rights law in connection with the State of Utah’s funding of a plan to ship Utah coal through a terminal to be constructed in West Oakland. Title VI of the Civil Rights Act of 1964 protects people from discrimination based on race, color, and national origin in programs and activities receiving federal financial assistance. The State of Utah has passed legislation to divert $50 million provided by the federal government to assist communities in Utah affected by mineral extraction from federal lands to fund a privately owned coal export facility to be constructed near the foot of the Bay Bridge. WOEIP’s letter calls on the federal government to step in and threatens formal legal action under Title VI if Utah proceeds with the plan to fund a coal terminal in Oakland. WOEIP’s letter is reproduced below. This letter is to inform you of an imminent violation of the Civil Rights Act of 1964, a violation which will occur if the State of Utah proceeds with financial support for a coal terminal in Oakland, California. We write to both of you in the hope that you will take steps to avoid this violation. If, on the other hand, this action proceeds, please be advised that it is our intent to take formal action under the Civil Rights Act to correct this violation by way of a formal Title VI complaint and other avenues and tools available to us. Title VI of the Civil Rights Act prohibits recipients of federal financial assistance from discriminating on the basis of race, color, or national origin in their programs or activities. 42 U.S.C. § 2000d – 2000d-7. Title VI has two major provisions, section 601, which has been held to prohibit discriminatory intent, and section 602, which has been interpreted to allow agencies to promulgate regulations prohibiting agencies receiving federal funding from taking action that have a discriminatory effect, regardless of intent. See 42 U.S.C. § 2000d – 2000d-1. Under the authority of section 602, U.S. Department of Interior’s implementing regulations for Title VI prohibits agencies funded by U.S. Department of Interior from actions that are either intentionally discriminatory or that have discriminatory impacts. 43 C.F.R. Part 17. More specifically, a recipient of federal financial assistance “shall not utilize criteria or methods of administration” of its programs in ways “which have the effect of subjecting individuals to discrimination.” 43 C.F.R. § 17.3(b)(2). The action by the State of Utah which would violate these federal requirements of the Civil Rights Act of 1964 is the investment, or securing of interests by other contractual means, in a project on the Oakland Army Base (OAB) commonly known as the Oakland Bulk Oversized Terminal, for the purposes of facilitating the transport of coal or other commodities to and through the OAB. This investment has been reported as between $50-$53 million dollars, but the amount is irrelevant – no federal dollars may be used for this purpose. By way of background, the Utah Community Impact Board, which receives funding from federal Mineral Leasing Act (MLA) mining royalties, approved a $53 million loan to four Utah counties—Sevier, Carbon, Sanpete, and Emery counties—to help fund the Oakland coal terminal on April 2, 2015 using federal MLA funds. The deal was brokered by Jeff Holt, the then-current Chairman of the Utah Transportation Commission, managing director at BMO Capital, and a recent CIB member who himself who appeared to personally profit from brokering the deal. After many groups complained about the potentially illegal nature of this funding because it would benefit a private company to build a private facility and did nothing to mitigate impacts of fossil fuel development in Utah communities, Utah Senate Bill (SB) 246 appeared. SB 246 tries to swap $53 million in federal MLA funds with $53 million in state transportation funds to attempt to make it state money to finance the export terminal instead of federal money. “Diesel Particulate Matter Health Risk Assessment for the West Oakland Community”, December 2008, State of California Air Resources Board. “Identifying Area with Cumulative Impacts from Air Pollution in the San Francisco Bay Area”, Bay Area Air Quality Management District, 2014. Any of numerous data sources will demonstrate that West Oakland is by all accounts a community comprised of minority members to an extent far above the City of Oakland, the San Francisco Bay Area and the state of California. West Oakland is a population explicitly protected under the Civil Rights Act of 1964. Coal transportation creates more air quality and safety problems than the transportation of other goods. Namely, coal is shipped in mile-long trains of 120+ open top railcars that emit massive amounts of coal dust into the water, air, and land near the railroad tracks. Coal dust contains arsenic, lead, mercury, chromium, nickel, selenium and other heavy metals. Prolonged, direct exposure to coal dust has been linked to health issues such as chronic bronchitis, decreased lung function, emphysema, and cancer. This fine coal dust can also contribute to train derailments when it rests in the railroad ballast. Apart from rail impacts, communities near the Port are also impacted. Coal is commonly stored in large, uncovered piles near the ports where wind and rain can carry coal dust particles into nearby neighborhoods. By way of one example, in a community near a large coal terminal in Virginia, the number of residents suffering from asthma was found to be more than twice the city and state average. Apart from the significant health impacts, local businesses near rail and fossil fuel export facilities can suffer negative visual, aesthetic, and noise impacts from coal dust and increased rail traffic. This can equate to lost business and property values, which can also mean reduced property tax revenues for local communities. One study conservatively estimates losses from a new coal export facility to be at least $265 million in property values—equating to more than $2.6 million in community tax losses. In addition to all of the localized impacts from transportation of coal, it also emits greenhouse gases that cause climate change. The community of West Oakland that would bear the brunt of the impacts from coal transport and export is also ironically the same community that would be most vulnerable to climate disruption impacts like sea level rise, drought, flooding, and fires. It is further our understanding that these funds may have already been obligated or transmitted to the State of Utah from the Department of the Interior, in which case this would be a significant dereliction of duty by the Department of Interior and a failure to apply even basic due diligence in complying with the requirements of the Civil Rights Act. If in fact, however, such obligation or transmission has not yet occurred or is ongoing, then the Department of Interior must abstain from any further activities along these lines. Regarding the State of Utah, in the course of receiving various federal grants the State has provided assurances committing to compliance with the requirements of Title VI of the Civil Rights Act. Such assurances are required under 43 CFR Part 17.4. Such a commitment, in order to have practical meaning, would necessarily be accompanied by policies and procedures to ensure that the activities of the State’s various agencies, departments and bureaus did not engage in activities in violation of those commitments. Logically such policies and procedures would also apply to the State’s use of funds that have been provided to it under the Mineral Leasing Act, and to the State’s use of such funds for the Oakland project. If in fact such scrutiny has not been applied, then Interior should exercise its authority under 43 CFR Parts 17.4-17.6 to audit the State’s compliance with Title VI. Please note that we have previously raised our concerns regarding these matters in correspondence dated April 1, 2016, to Janice M. Schneider, Assistant Secretary for Land and Minerals Management, on the subject “Federal land lease rebates may be used to increase burden on West Oakland’s residents and violate Civil Rights Act.” More than six weeks later, we have received no reply in any form either acknowledging our letter or responding to the concerns raised in that letter. Finally, we request clarification from both the Department of Interior and the State of Utah as to the status of any and all funds which may be either considered or intended for use in support of the Oakland project. Please be advised up front that we will be neither convinced nor fooled by any manipulation of funds, such as co-mingling them in a general infrastructure fund, that might disguise or otherwise “launder” federal funds as to obscure their essential purpose of providing support for the Oakland project. Federal regulations, guidance and policies are clear on this, and we expect close scrutiny by all public agencies involved in this matter in order to ensure compliance with both the letter and spirit of the Civil Rights Act. We request your immediate attention to these matters. We further request immediate confirmation from both Interior and Utah that this correspondence has been received and the issues raised are being addressed.